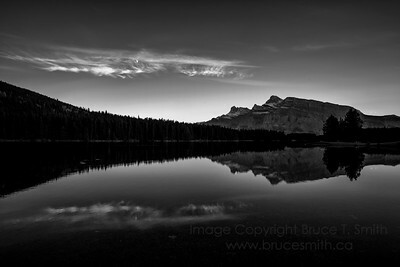 Images from the Rocky Mountains in September 2015, on the Inspiring Photography tour with my friends Dimitri, Stuart, Alan, Linda and David. 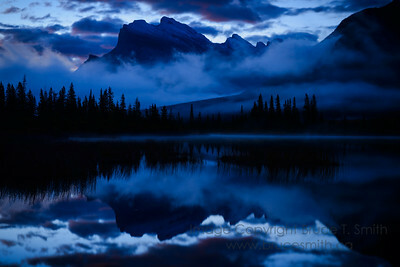 A view of the first light over Rundle Mountain, Banff National Park. 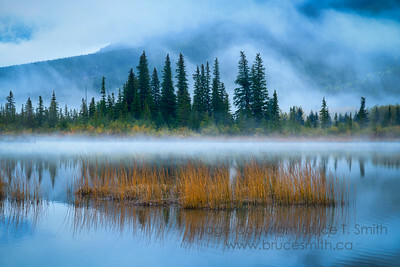 Mists over the waters of Vermilion Lakes, Banff National Park. 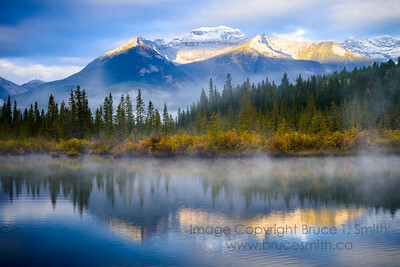 A view of the beautiful autumn colors and snowcapped peaks, reflected in the waters of Vermilion Lake, Banff National Park. 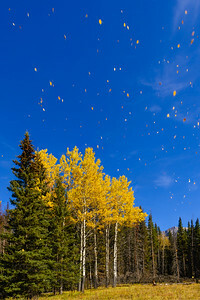 Gorgeous yellow aspen leaves in autumn, blowing in the breeze in the Rocky Mountains of Banff National Park. 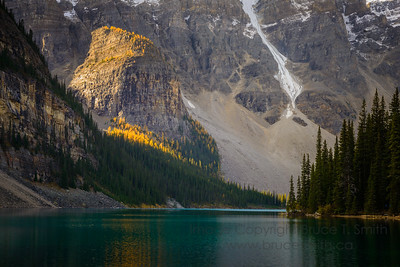 A view across the still waters of Moraine Lake, Banff National Park, in autumn. 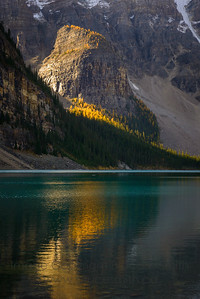 Gorgeous yellow orange colors of the Larch trees at Moraine Lake, Banff National Park, reflected in the calm waters. A view across the valley of the Bow River at Morant's Curve, Banff National Park. 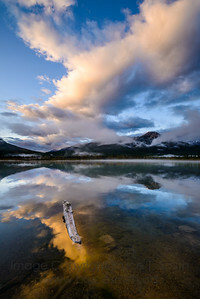 Reflections of the morning light on the clouds over Vermilion Lakes, Banff National Park. 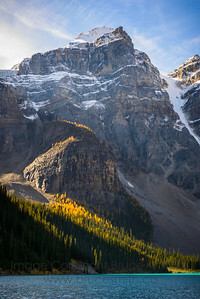 A beautiful view of Larch trees in full autumn color, reflected in the amazing waters of Moraine Lake, Banff National Park. 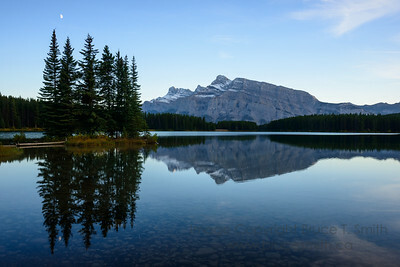 The view across Two Jack Lake, Banff National Park, Alberta after sunset, with Rundle Mountain reflected in the calm waters. 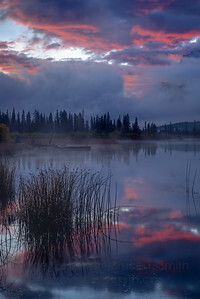 The last light after sunset over Two Jack Lake. 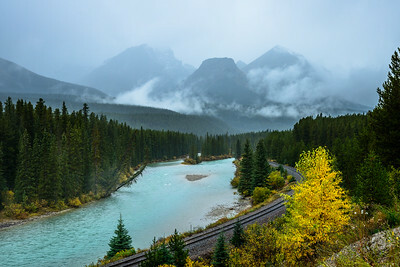 On a rainy, overcast day, this was the view looking across the CP Rail line and the Bow River at Morant's Curve, along the Bow Valley Parkway. 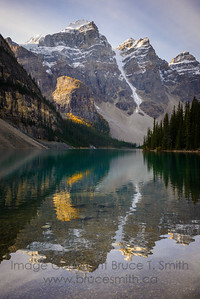 A view across Moraine Lake, Banff National Park, towards one of the magnificent peaks surrounding the lake. 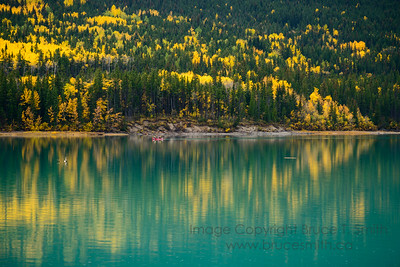 Canoeists on Barrier Lake, Alberta, with incredible autumn colors all around. 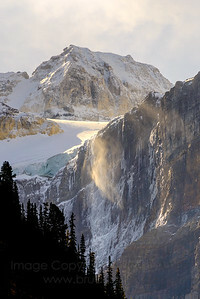 This was a close-up view of mist off the glaciers above Moraine Lake, Alberta. 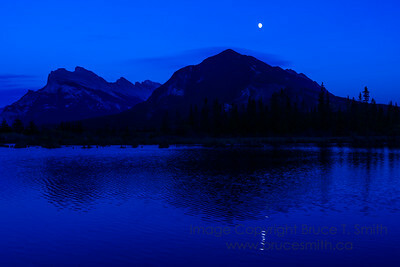 A view of Vermilion Lakes, Banff National Park after sunset, with the blue hours sky and the rising moon. 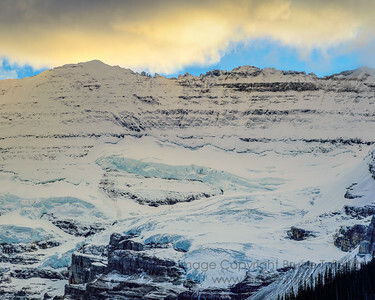 A view of Victoria Glacier, Lake Louise, Banff National Park, with the sunset light reflected onto the ice. 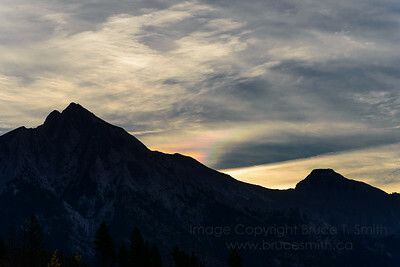 A brief but intense display of color over Vermilion Lakes, Banff National Park. You can see other photographers in the mist on the left.